Commercial Project Management, Asheville, NC | Off Duty Fireman Construction Inc.
'); // });Commercial Project Management, Asheville, NC | Off Duty Fireman Construction Inc.
Keep your project on time, on budget, and top quality with our commercial project management services. Commercial renovations, upfits, and remodeling projects only go as planned when they are properly managed from start to finish. Here at Off Duty Fireman Construction Inc., we know that one of the reasons why these projects can run into trouble is a lack of communication between the property owner and as many as 20 subcontractors all focused only on their part of the project. It takes a determined and experienced commercial project management professional to keep everything running smoothly so that your project is completed accurately, on time, and on budget. 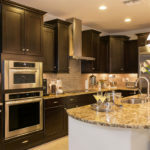 We have been serving the restoration and renovation construction needs of the Asheville, North Carolina area since 2001. We have a highly trained and experienced team of professionals in our employ, which drastically reduces our dependence on subcontractors to minimize communication issues and keep your project running smoothly. Since our team has worked together on projects hundreds of times, they are like a fine-oiled and maintained machine. Combine that with our experienced commercial project management skills, and you have the best chance of a successful project experience and result. Another benefit of our reduced dependence on subcontractors is that we have a higher level of control on scheduling, quality, and costs while being able to provide you with personalized service and satisfaction that is often lacking in this industry. We truly care about our clients and our community. We show that by supporting several charities and organizations that honor fallen soldiers, veterans, firefighters, and children. If you would like to know more about our commercial project management services and how we can tackle any size or scope of disaster recovery or renovation, don’t hesitate to contact us to schedule a consultation.